Christiana Young lost her husband suddenly almost a year ago, and was left with 5 children and a grandma to provide for. 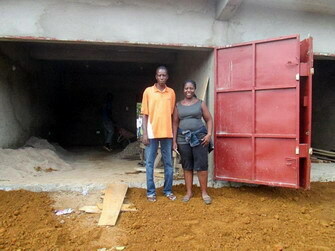 While her husband Othello, was still alive, they started building a pharmacy. 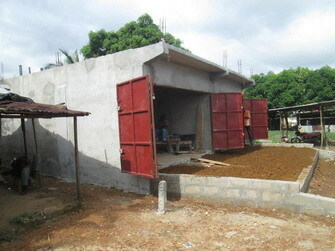 After he passed away, there were no funds to finish. 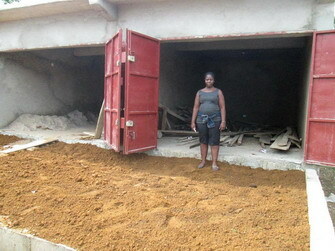 Christiana could finish her building if she had $ 1,800. We are hoping to raise this for her. 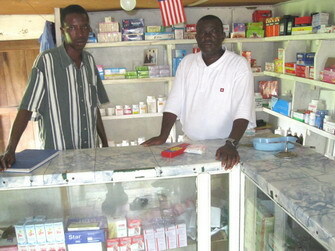 After the pharmacy is finished, she could apply for a micro loan to fill her shelves with medicines. She could also sell to drug stores. This building is in a very favorable location. Christiana is a Licensed Practical Nurse and a Certified Pharmacist. 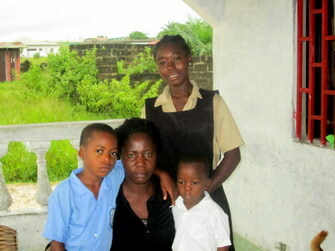 Provision of Hope helped her through school. She has run a pharmacy before in a building that she rented. Just prior to her husband’s death, she paid off her loan in full. I have confidence in Christiana that she can make it. She is such a hard worker and efficient manager. Sumo Gibson is one of our university graduates, with a degree in pharmacy. He has had over a year of experience working in a Pharmacy in Buchanan with Mr. Otis Dyega and would be available to work in Christiana’s pharmacy as soon as it would be completed. In this way Christiana could provide for her own household. Provision of Hope is always looking for ways to help people become sustainable rather than put them on monthly hand outs. Our focus is orphans and widows. It has been extremely difficult for Christiana since her husband is gone. Many times they hardly have food in the house. Yet she has a strong faith in God, and is confident God will make a way. I talked with her on the phone this week, and assured her that I too believed somehow she would finish her pharmacy. Please join us in prayer to see this miracle come to pass. Anyone who would like to donate for this cause, we welcome your help.